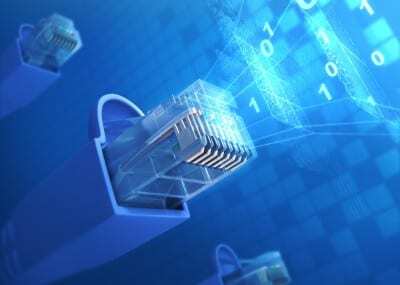 The Optical Internetworking Forum (OIF), an industry group uniting the data and optical networking sectors including carriers, component manufacturers and system vendors, has announced a collaboration with the Open Networking Foundation (ONF) which will see the organisations work together with leading telcos and research institutions to test software defined networking (SDN) in the transport layer. The testing, which will begin this month, will see both industry groups work with a number of telcos including China Mobile, China Telecom, Telus and Verizon on interoperability testing of optical equipment leveraging SDN architecture and the OpenFlow protocol, the open source southbound data transport protocol standard managed by the ONF. The group plans to test OpenFlow extensions for optical transport developed by the ONF Optical Transport Working Group, and demonstrate service requests as well as typology APIs and northbound interfaces, from applications down to the controller within a cloud bursting scenario, where an application requests more bandwidth requiring inter-datacentre capacity to be allocated dynamically. Other carriers participating with the initiative include KDDI R&D Labs, Orange, and the China Academy of Telecommunications Research. Li Han, deputy director of the China Mobile Research Institute said China mobile has been keen to apply SDN technology in its transport network applications as it works towards centralising the management of its network. “Through this SDN test, China Mobile wishes to further promote the migration of network towards management centralisation and resource virtualisation, eventually enabling traffic-aware and end-to-end dynamic coordination, as well as realising multi-layer, multi-domain, and multi-technology optimisations,” he said. Ibrahim Gedeon, CTO of Telus said the test will offer insight into how it and other telcos may use SDN to develop more dynamic, flexible and customer-friendly networks. The announcement comes just months after the OIF announced the start of work on a specification for Virtual Network Services (VNS), looking at potential classification of VNS depending on the customer or application needs for varying levels of control of their virtual network resources; some suggest this may become a main driver for deployment of SDN beyond the core and access networks, where most deployments are currently focused. Both virtualisation and SDN are considered essential to the future of telco networks in order to deliver flexibility, scalability and quicker time to market for new services, forming an integral part of next generation networking and services – which increasingly include cloud-based services.